Joe Crawford blogged this at 6:21am in 2008 in May. The 18th was a Sunday. You are reading this 11 years later. Comment. There are 3 comments Tweet. Send email. It has hashtags→ design memories movies speed-racer . I just stumbled on your article doing research for a new game concept. your article hits a perfect bullseye! I saw the movie with my 8 year old daughter. I was so deep into the movie that when we were driving home afterwards I was still in the movie thinking I was racing through the streets! No, lol, nothing unsafe, mind you. When I confessed to Breanna (daughter) about being stuck in the movie, she had admitted she was also still locked into it! I have seen ALOT of movies and have never been held into a movies world like we were watching the feature film. Adsolutely stunning with brilliant execution! I watch it regularly on my iPad and still get lost in its beauty and intensity! I think the only movie to even come close to that for me was Avatar. Thanks for the article, I usually dont comment on articles, but i was compelled here. Speed Racer made an emotional impression on me simply because of how well it was made! incredible! Thanks Paul, thanks for stopping by with your comments! I’m very pleased to have hit a bit of a nerve. 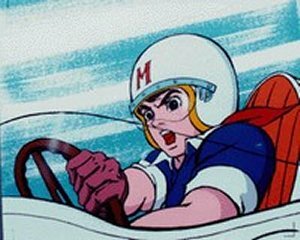 I still enjoy Speed Racer — even 4 years after writing this blog post.